Look no further! 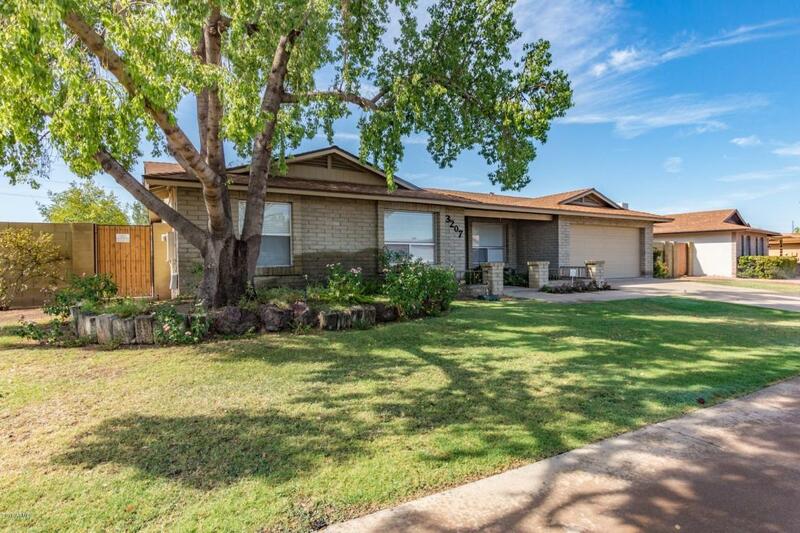 This gorgeous ranch style home is one you need to see! 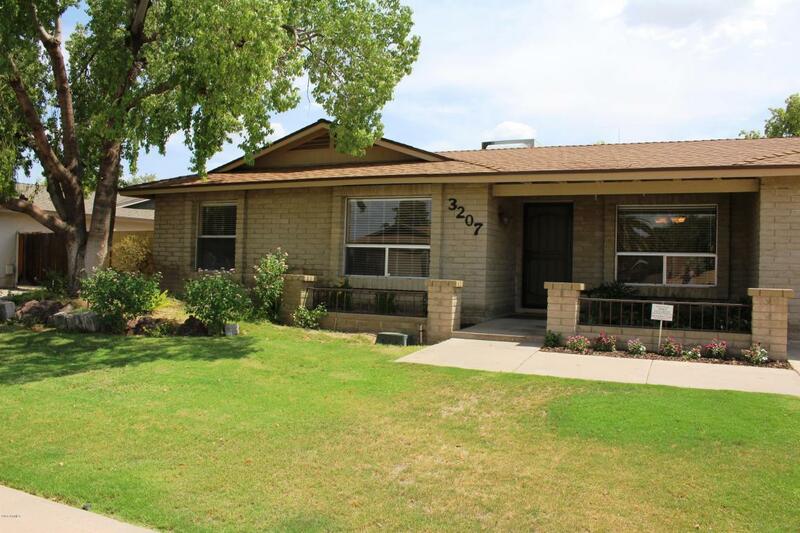 Quality built block home in north Phoenix with a 4 Bedroom split master bedroom floorplan. Updated kitchen featuring white cabinetry with glass doors and brushed nickel hardware, granite countertops, breakfast bar, subway tile and a stainless sink. Formal dining and living rooms. Cozy family room with a wood burning fireplace. Beautiful Brazilian wood laminate and travertine flooring with high baseboards. Entertainers delight backyard-great patio, large sparkling pool with raised decking/lounging area and a separate hot tub! Mature trees and landscaping provide great amounts of shade. Fruit Cocktail tree with 2 types of oranges and pink grapefruit, plus a Blood Orange Tree!Security screen front door. Roof is 7 years..The Master Bedroom has raised panel double doors, a large walk in closet with custom built in shelving and a second closet for additional storage. There are french doors leading to the backyard patio, pool and spa. The bathroom has an updated countertop, sink and light fixture. New sewer line to street installed in 2011. 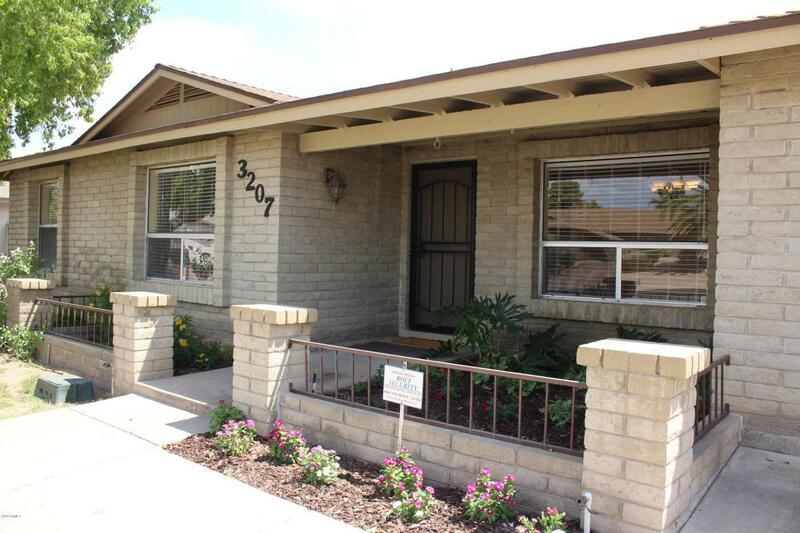 Within minutes to shopping, dining, entertainment and medical facilities. Security system owned/not monitored and sells as is. 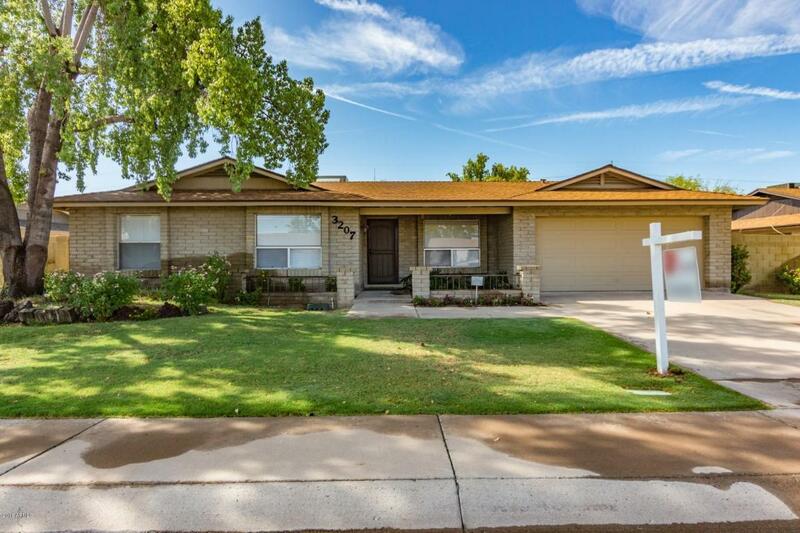 Close proximity to I17 and Loop 101 freeways for easy access around the Valley.This home wont last long, put this one on your list to see! !